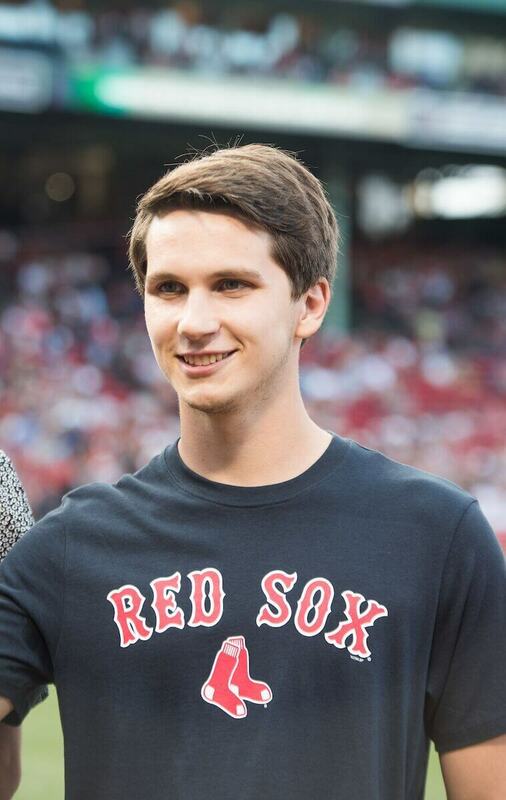 DERBY — Seventeen recent graduates of Vermont public high schools were honored with Vermont Red Sox Service Scholarships on the field at Fenway Park. Students were presented with their scholarships at a recent home game against the Chicago White Sox. Two of the recipients were from Orleans County. Benjamin Myrick, of Derby, who attended North Country Union High School, was one of the recipients. He will be attending Clarkson University in the fall. Hunter Cota of Brownington, a graduate of Lake Region Union High School, was also awarded the scholarship. Cota was unable to attend the ceremony, and will be attending Husson University this fall. 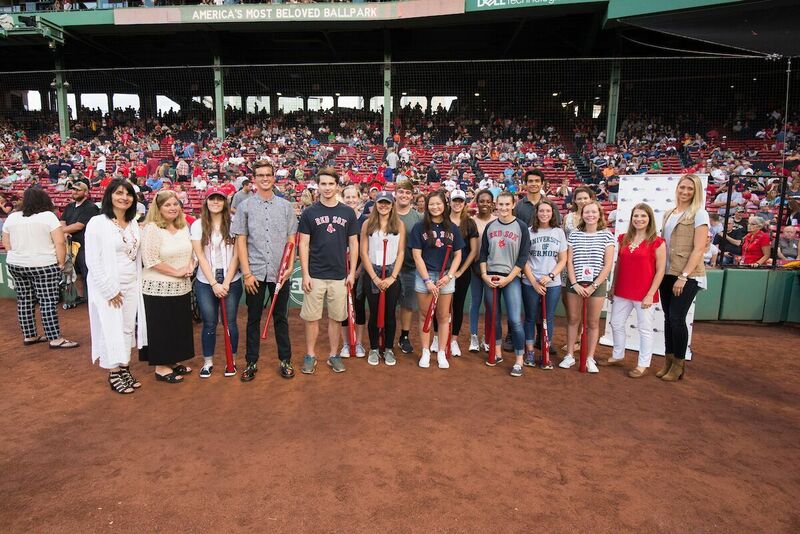 The $1,000 Red Sox Service Scholarships are awarded to students based on academic performance, financial aid eligibility, and demonstrated community service. 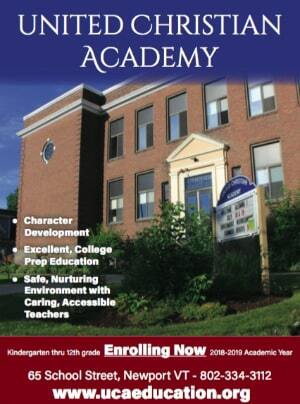 This is the scholarship program’s fourth year in Vermont. It was first launched in New Hampshire in 2010 and now runs in all five New England states outside of Massachusetts. DERBY — A 30-year-old man from Derby is facing numerous charges after police say he ignored warnings not to reach for a loaded gun during a DUI stop. Jeffrey Charland is being charged with aggravated assault/deadly weapon, DUI, resisting arrest, and grossly negligent operation, following the incident. On Sunday, at around 7:45 p.m. police say they clocked a vehicle traveling 75 mph in the posted 50 mph zone on Route 111 in Derby Center. The vehicle was pulled over near the intersection of Main Street. Police say Charland displayed multiple signs of alcohol impairment and indicated there was a weapon in the center console. He was immediately advised not to reach for it. “Charland subsequently ignored multiple orders by the Trooper not to reach for the weapon and to show his hands, and pulled a loaded handgun from within the vehicle,” a statement issued by Trooper Daniel Lynch reads. Charland was ordered to drop the weapon and then ordered out of the vehicle. As police attempted to take him into custody, they say he actively resisted attempts to secure him and was forcibly arrested. DERBY — A single-vehicle crash on I-91 in Derby this afternoon sent two people to the hospital. At around 3:25 p.m. police were notified of a crash with possible injuries on the northbound side of the interstate. The driver was identified as a 17-year-old woman from Brownington. Police say she was driving a 2007 Subaru Legacy and traveled off the left side of the highway before heading back onto the road, crossing both northbound lanes, and striking the exit 28 sign. The Subaru was totaled in the crash. 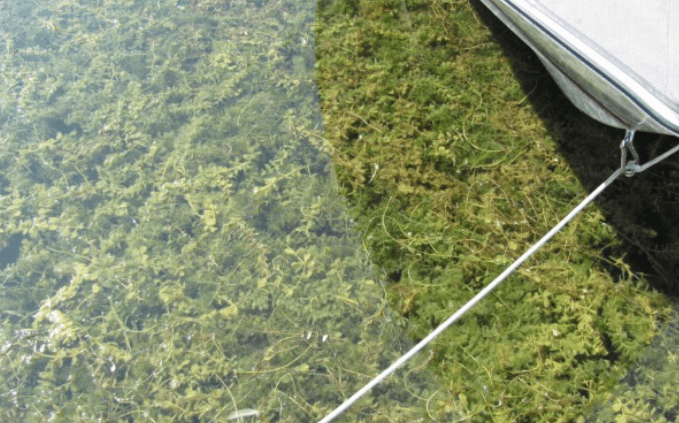 DERBY — The Village of Derby Center is continuing a program for the fourteenth year to remove and control Eurasian water milfoil (EWM), an invasive exotic plant that was found in Derby Pond back in June of 2000. The village hopes to minimize this aquatic nuisance plant as it affects the water quality and use. The village has received a grant as well as appropriations from the town of Derby and Village of Derby Center. The grant will help with harvesting the milfoil and disposal of the milfoil afterward. The village has received the necessary state permits for this work. Derby Pond, also known as Lake Derby, is a small lake of 207 acres, and the water source for the Derby Center Water Company. It has been the primary water source since 1997 and was the backup source from 1977 through 1997. Approximately 417 connections serve approximately 1,000 residents and businesses, both in the village and the town. Average usage from Lake Derby is 3 to 4 million gallons per month. Customers depend on the lake as their water source, so the use of chemical agents to remove the plant is not an option. The water supply is also the source for a Newport City industrial park and the city’s backup source. It is the intent to save the water supply source from this aquatic nuisance. The lake is used for recreational purposes by the general public as well as by the many homeowners with property surrounding the lake. Continued growth of EWM without abatement could threaten the recreational use of the lake. Controlling the EWM population will also lessen the threat of it spreading into other bodies of water. Hand pulling, suction harvesting, and bottom barrier devices are the only options for the village to use in removing EWM. It is vital to keep monitoring the EWM as other sources of drinking water are not available or feasible. A qualified aquatic plant management firm will be returning to suction harvest the weed from the lake. The top priority will be to prevent any infestation near the water intake piping. Follow-up EWM surveys will be made to see if the removal efforts and bottom barrier devices have had an impact or if further methods need to be addressed. Harvesting and pulling will continue in 2017 as necessary and as funds allow. The village will be asking for in-kind donations of services, such as truck or tractor use, disposal sites for milfoil, and donations of supplies or materials. Anyone who wishes to donate time or materials, please contact Karen Jenne at the village of’ Derby Center office or at 766-5313, or at villagedc@outlook.com. TROY — A 44-year-old man from Derby racked up a list of charges after a drunken outburst at the Troy General Store on Thursday. 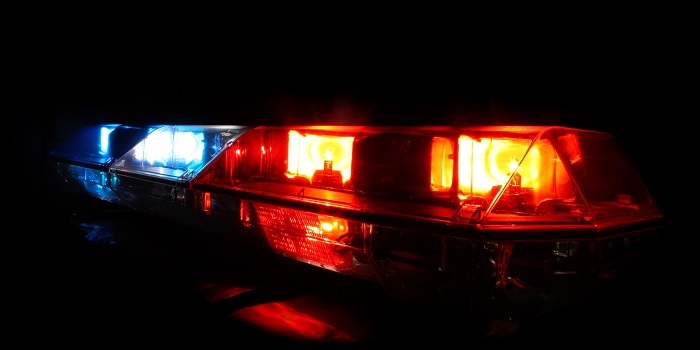 At around 7:20 p.m. State Police and the Orleans County Sheriff’s Department responded to a call that an intoxicated male was threatening patrons at the store. Police say their investigation revealed that Stephen Heath, 44, of Derby, was under the influence of alcohol, which was a violation of his conditions of release. They say Heath was engaging in violent and threatening behavior in a public area. He was placed under arrest. While in custody, police say Heath made two attempts to assault members of the State Police. He was lodged at Northern State Correctional Facility. He is facing charges of violation of conditions of release, disorderly conduct, and assault on a law enforcement officer. 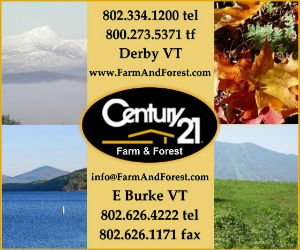 DERBY — Vermont Fish and Wildlife officials are saying that if they are unable to recapture the 16 elk that have been on the run since escaping their pasture in Derby last weekend, they may have to be shot. The animals are posing a risk to people and a disease risk to other wildlife in the area, they say. The primary threat to the public is that they could wander onto a highway and be hit by a vehicle. Although a much lower risk, the animals could also introduce chronic wasting disease into Vermont’s deer population. State officials have been working with owner Doug Nelson to recapture the animals. They have already been spotted several miles from their enclosure near the Cow Palace in Derby. Officials have not set a specific time limit to recapturing the elk before resorting to other measures, which includes the possibility of shooting them, but say that bringing them back alive is still their primary goal. At this time there is no indication any of the elk have crossed into Canada, however, they have been spotted close to the border a few times. NEWPORT — The American Red Cross is urging eligible donors to give blood this summer for hospital patients in need. Derby, on Tuesday, June 27, from 11:30 a.m. to 5:30 p.m. at the Newport Elks Club, 3736 Route 5. Barton, on Monday, July 3, from 11:30 a.m. to 3:30 p.m. at the Barton United Church, 15 Church Street. Potential donors don’t need to wait for a blood drive. You can schedule a donation by visiting redcrossblood.org, or calling (800) 733-2767 to make an appointment. 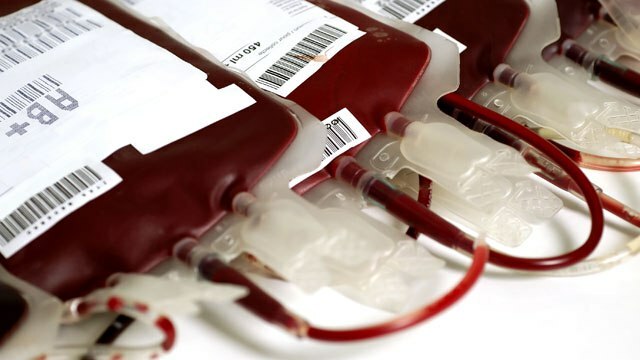 Only about 3 percent of the U.S. population gives blood, which means a heavy reliance on repeat donors is needed to maintain a sufficient blood supply. New blood donors are especially needed during the summer months because many schools where blood drives are held, and where new donors give, are not in session, and current donors often delay giving due to summer vacations. 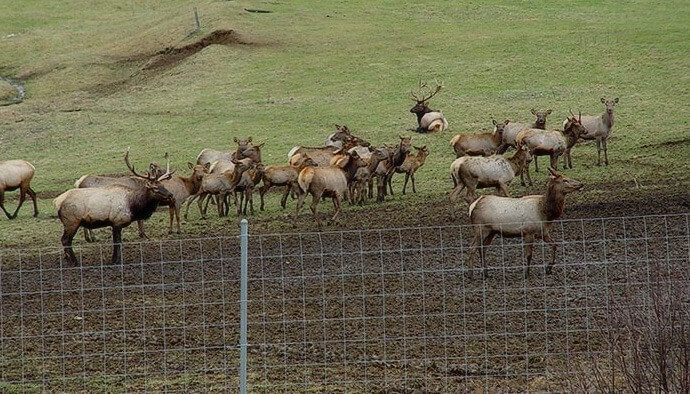 DERBY — The search is on in Derby for a variety of non-native elk that escaped their pasture by the Cow Palace on Sunday. Some of the elk, who belong to Doug Nelson, returned on their own shortly after being let out. Others have been spotted roaming, and swimming around the area, with pictures almost immediately popping up on Facebook timelines. Wardens from Vermont Fish and Wildlife say they are aware of the situation and are working with Nelson to retrieve the animals. 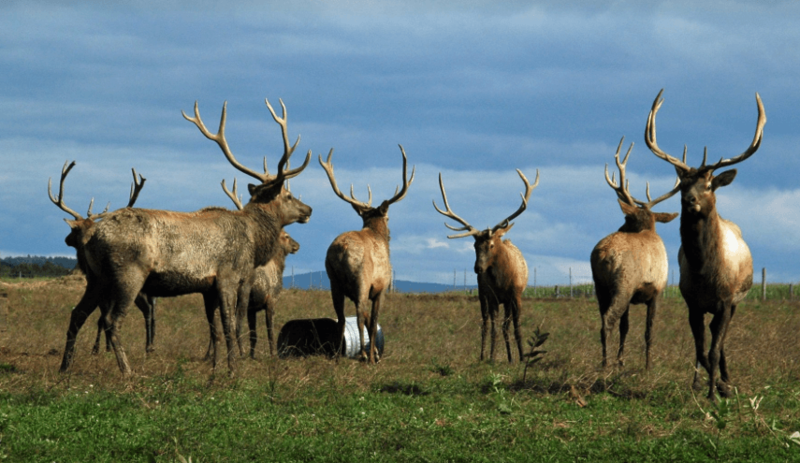 The elk herd is somewhat of a landmark in the area, often photographed by visitors to the Cow Palace restaurant. One of the dishes on the Cow Palace menu is elk sirloin. 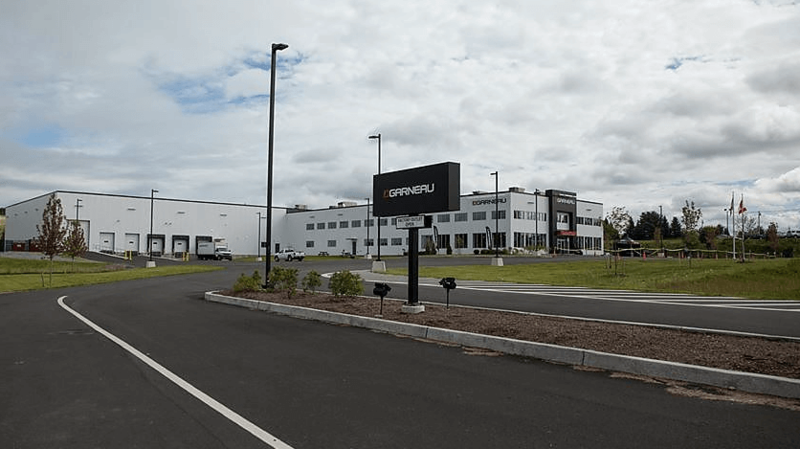 DERBY — The Vermont Department of Labor has confirmed that 36 people employed at the Louis Garneau USA facility in Derby are set to lose their jobs this week. Louis Garneau, a company that specializes in cycling and triathlon apparel and gear, had no comment on the layoffs. The Derby facility houses the production, distribution, marketing, sales, and administration activities of Louis Garneau USA, and sits on a piece of land located on Route 5 that Garneau purchased in 2011. The Vermont Department of Labor office in Newport says they are working with the company to help employees who are being laid off, but are not sure yet if those workers were full-time employees or not. The Derby facility, totaling 60,000 square feet, was an 8 million dollar investment the company made to stay in Vermont, moving from a factory in Newport which opened in 1989, to Derby in 2013. The factory is capable of employing 120 people. COVENTRY — Police say that a truck that crashed on Wednesday morning, had been stolen earlier from a parking lot in Derby. At around 9:50 a.m. police responded to calls of a white Ford pick-up truck that had gone off the roadway by the intersection of Coventry Station Road in the town of Coventry. 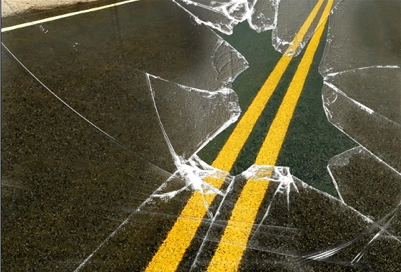 Police say the vehicle crashed as a result of traveling too fast for the road conditions. It was later learned that the truck had been stolen from a parking lot on Route 111, near Main Street in Derby, sometime between 5:00 p.m. on Tuesday, and 5:30 a.m. Wednesday. Investigators are reviewing surveillance footage from local businesses in the area that the theft occurred. According to the report, the truck owner was identified as Ronald Patenaude, 49, of Derby Line. Police are asking anyone with information on this incident to contact Corporal Amy LeClair at 802-334-8881. All photos by Phil White. NEWPORT — Randy Durivage and Laurie Durivage of Derby, defended home turf and won this year’s Moose, a 103 mile “timed event” that runs through Caledonia and Essex Counties. Randy Durivage, 54, shared the title of King of the Moose with Julian Grijns, 42, of Westport, CT, both finishing with a time of 5 hours 33 minutes and 30 seconds. Laurie Durivage claimed her title as Queen of the Moose with a time of 5 hours, 50 minutes and 55 seconds. The Moose starts at Mike’s Tiki Bar in East Burke. Cyclists have to tap the bar at the finish. 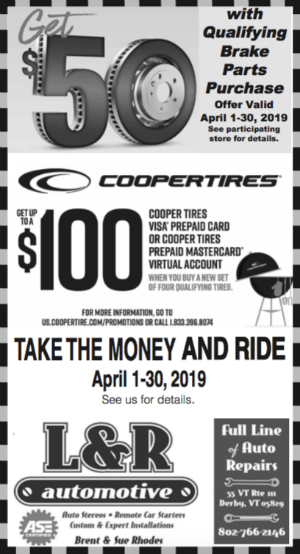 It runs up Route 114 to Island Pond, Norton, and Canaan, Down the Connecticut River on Route 102, back to Island Pond on Route 105, and down to East Burke on Route 114. Second and third among the women were Fran Plaisted, 53, of Orford, NH (6:07:50) and Carrie Nourjian, 64, of Stowe, (6:08:23). Tied for third place among the men were Jake McLoughlin, 27, of Lyme, NH, Michael Fogg, 57 of Norwich, and Benjamin Williams, 43, of Thetford, all with times of 5:57:53. Each of the male and female winners claimed a 6 pack of day tickets to Burke Mountain, a quart of Couture’s Maple Syrup, and a half pound of Brault’s beef jerky. This year, seven teams competed in the Team Challenge, KVG, Upper Valley Velo, Team Ottawa, Flatlanders, Vermonters, Onion River Sports and Burke Mountain Academy. The Upper Valley Velo narrowly edged out KVG. 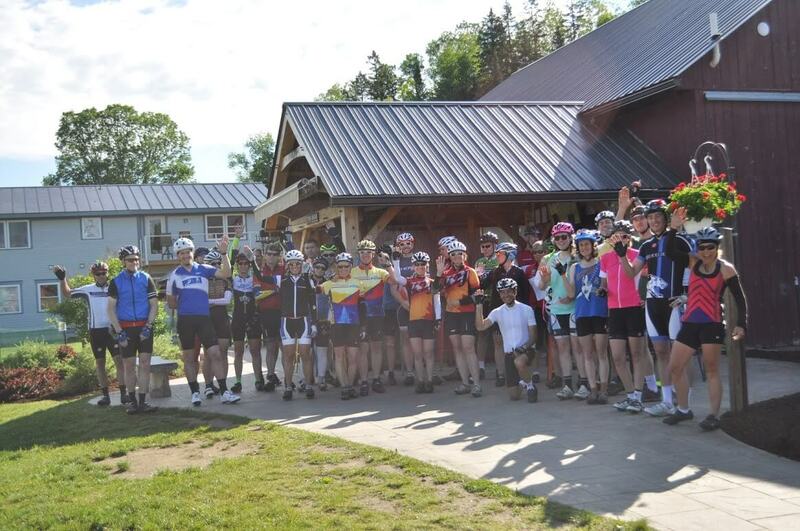 The Moose is one of the three days of riding in the June Tour de Kingdom, which also includes a guided ride around Lake Memphremagog on Friday and a Lake Region ride on Sunday. About 50 cyclists participated in the weekend, traveling from Ontario, New Jersey, Illinois, New York, Connecticut, New Hampshire, and all around Vermont. 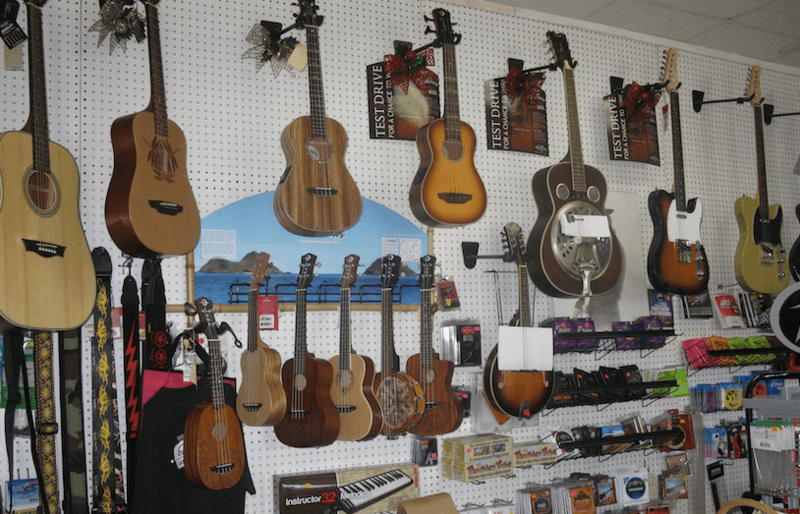 DERBY — Someone smashed a storefront window in Derby and made off with a vintage guitar. This morning at around 11:00 a.m. police were notified that Northeast TV & Music, located on Route 5 in Derby, was burglarized sometime overnight. Police say the perpetrator gained entrance into the store by breaking the storefront window. Once inside they damaged a Samsung television and stole a 1971 Guild acoustic guitar and a Marshall Combo guitar amplifier. According to the report, the store owner is listed as Michael Routhier, 65, of Newport. Police are asking anyone with information on this incident to contact the Derby barracks at 802-334-8881. NEWPORT — An emergency call from a motorist to police led to the arrest of an intoxicated driver seen weaving across lanes of travel on I-91. Shawn Britt, 36, of Orleans, is facing charges of DUI 2, and negligent operation following the incident. Police last night at around 7:50 p.m., they received a “be on the lookout,” called in by another motorist for an erratic driver who was tailgating and weaving around traffic in Derby. 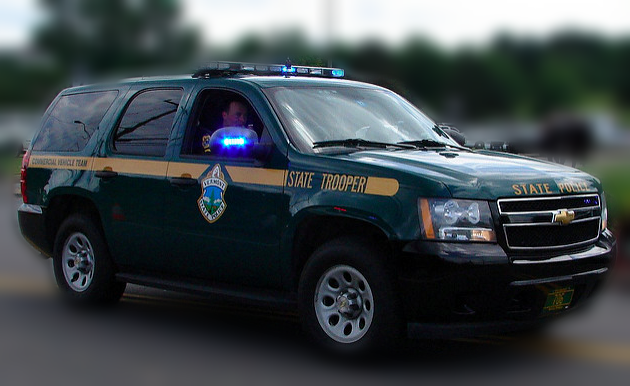 Troopers responded and positioned themselves at U-turns on the Interstate, and observed the vehicle traveling north near exit 28. Trooper Daniel Lynch states that he observed the vehicle to still be operating erratically, weaving across lanes of travel and onto the shoulder. The vehicle was stopped and police say numerous indicators of impairment were observed from the driver, who police identified as Shawn Britt. He was screened and subsequently taken into custody for suspicion of DUI. Britt was processed and released with a citation to appear in court for suspicion of DUI 2 and negligent operation. He also received multiple civil violations. DERBY — A 19-year-old man from Barton walked away without injuries from a rollover crash in Derby on Thursday. At around 7:30 a.m. police responded to the single-vehicle crash on Crawford Road, near the fishing access. Police say that Devon Lapierre-Hamel, 19, of Barton, was traveling southbound when he lost control of his vehicle. The 2006 Subaru Impreza left the traveled portion of the roadway and overturned off the northbound side of the road. Lapierre-Hamel told police he was not injured as a result of the crash. Police say after investigating, speed was determined to have been a factor in the crash. 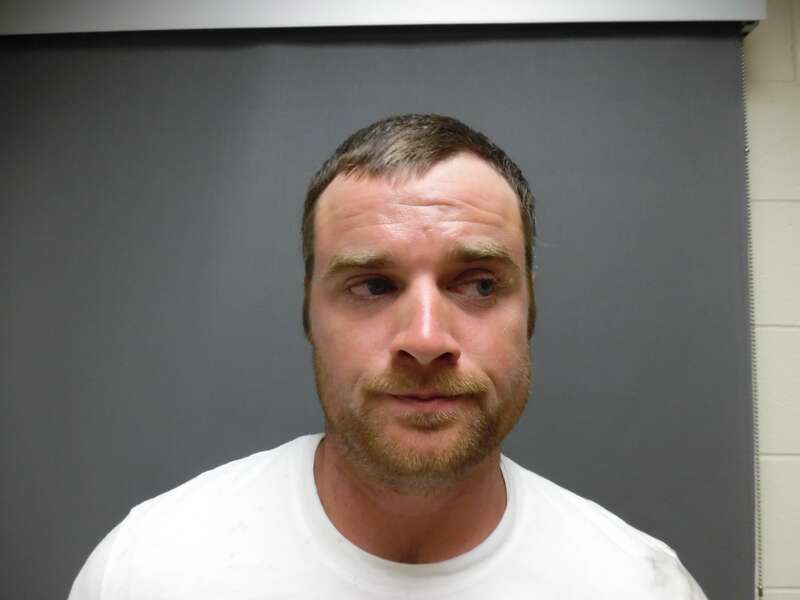 DERBY — Police are looking for a 37-year-old Brownington man, who they say led them on a high-speed chase through Orleans County this morning, before getting away. 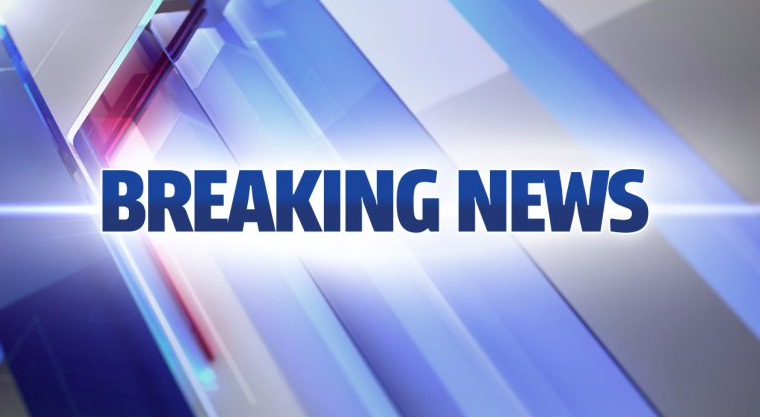 At 12:00 a.m. police say they were notified of suspicious activity involving a GMC pickup parked in the woods in Derby. Before police arrived to investigate, the vehicle had left the area heading towards Charleston. Police located the vehicle pulled off the roadway on Rte 105 near Rte 5A. 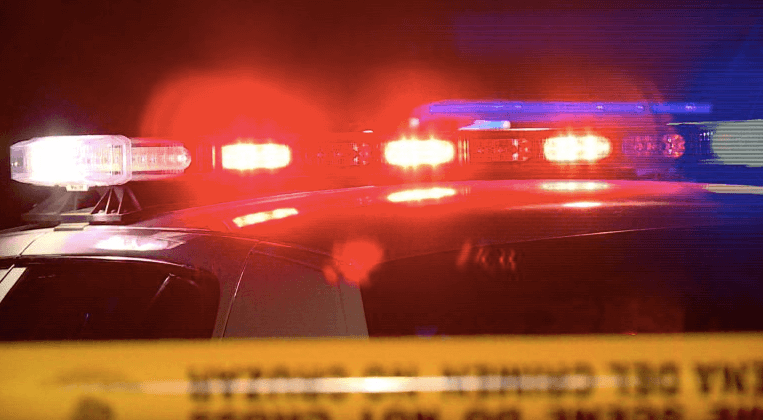 The driver, who police say was identified as Matthew Prue, was contacted and multiple indicators of heroin possession were observed within the vehicle, as well as indicators of impairment. When the trooper directed Prue to step out of the vehicle to investigate, he slammed the door and fled down Rte 5A at a high rate of speed. He was pursued for approximately 20 minutes through Charleston, Brownington, Barton, and Westmore, on multiple roadways as well as through fields, with speeds at times exceeding 100 miles-per-hour. Police say he was observed throwing hypodermic needles and other small objects and bags out of the window during the pursuit. At one point, police say he drove towards a trooper who was attempting to turn around in the roadway, almost ramming the vehicle. The pursuit continued into Westmore, briefly leaving the roadway into a field. Due to Prue’s increasingly erratic operation, police say they slowed down and pulled back. As troopers rounded a corner in the direction he had driven, they saw the truck crashed into a tree and left disabled in the roadway. Prue was not found at the scene of the crash. Troopers searched the area extensively, both on foot and with a K9 unit, and were unable to locate him. At this time, police are still looking for him. 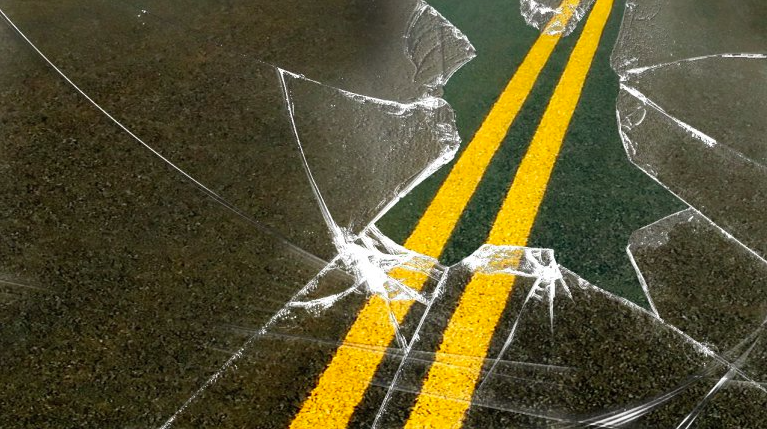 DERBY — Two women from Orleans County were injured in a car crash that took place in Derby on Thursday. 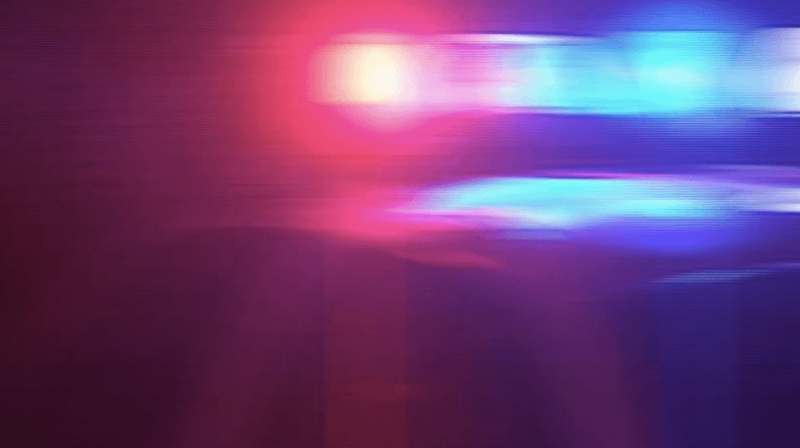 At around 4:30 p.m. police responded to the incident on Vermont Route 191 at the intersection of Crawford Road in the town of Derby. Dawn Perry, 52 of Brownington, and Karen Rinner, 55, of North Troy were identified as the drivers. Derby Line Fire Department and Newport Ambulance were dispatched to the scene to assist. According to police, both women sustained injuries and were transported to North Country Hospital for treatment. The crash investigation is still ongoing, but at this time police say it does not appear as though speed or impairment were factors in the collision. NEWPORT — A 34-year-old man from Derby was injured after being ejected from his vehicle during a crash in Coventry early Friday morning. At around 12:30 a.m. police responded to the single-vehicle crash on Messier Farm Road. When they arrived they found a man on the ground approximately 20 feet from the vehicle with a head injury. The driver was identified as Wayne Broe, 34, of Derby. Broe was rushed to North Country Hospital for his injuries. 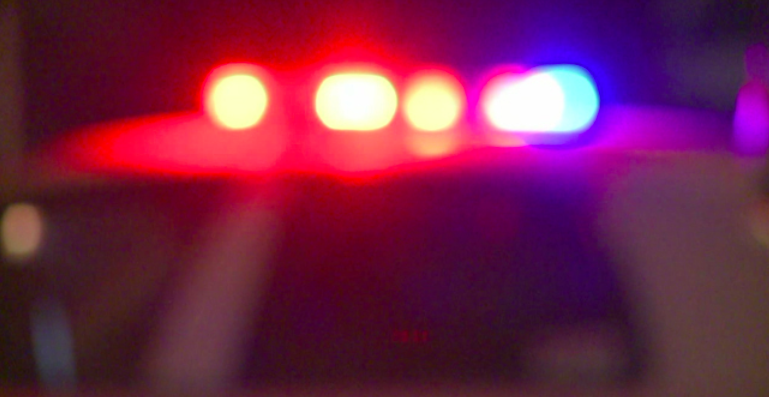 Police say observations made at the scene show the vehicle was traveling northwest when it went off the northeast side of the road and was then brought back onto the road quickly, causing the vehicle to flip multiple times. The crash is still under investigation, police say. DERBY — The Dandelion Run is back on May 20, 2017. 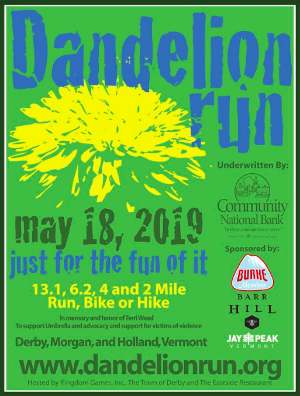 The run offers varying distances from one mile to a half marathon on dirt roads through the “world famous” dandelion fields of Morgan, Holland, and Derby. It’s held in honor and memory of Terri Weed, a 15-year-old girl who tragically lost her life due to domestic violence on May 21, 1981. For each adult registration, 20 percent will be donated to support Umbrella and its advocacy and support of victims of violence. “The Dandy” is held in conjunction with the Dandelion Fiddlefest celebrating “High Spring” in the Northeast Kingdom, a time when the dandelions are at their peak. As in previous years, Reckless Breakfast, a contemporary bluegrass band will be playing at the corner of Dumas and Hayward Hollow Roads. Champion master fiddler, Scott Campbell will be playing at Route 111 and the North Gore Road. 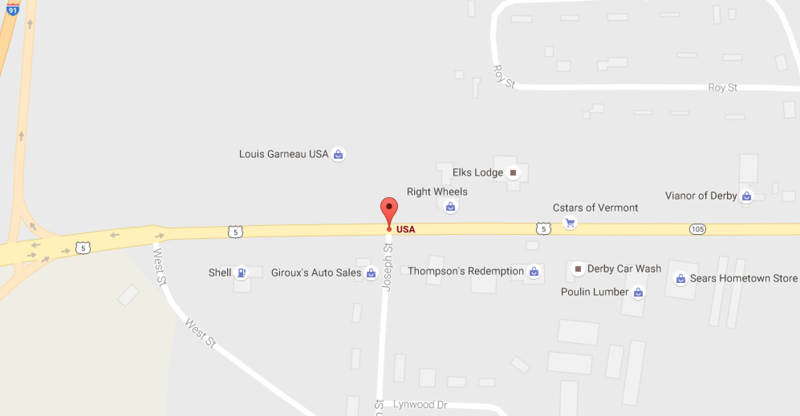 Patti Casey of Montpelier will be back at the corner of Route 111 and Dumas Road. Courtney Drew, an 18-year-old fiddler from Quebec, will be playing at the one mile turnaround. Rick Geisel, Don Houghton, and Terri Churchill will be playing at other locations along the course. The running and walking options include a 13.1 mile, 10 km, 4 mile, 2 mile and 1 mile. The ages of runners and walkers typically range from 4 years old to 80 years old. Each year many local schools field teams of young runners. 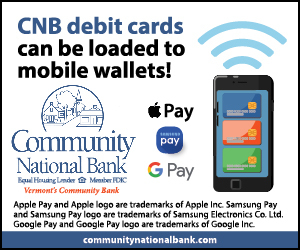 Last year, Community National Bank helped organize the first 4 mile walk, which was very popular and which we expect will grow. The bank’s Community Circle members put on their walking shoes and enjoyed the event festivities with the other “Dandy” participants from many other states. The Dandy is widely recognized as one of the top running races in Vermont. 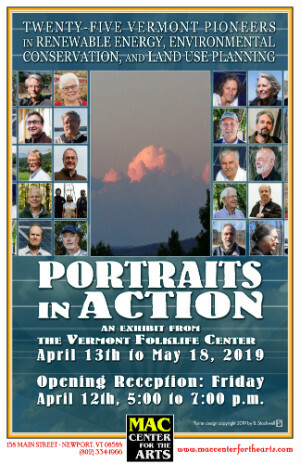 It has been featured several times in Vermont Sports Magazine and was named one of the best events in Vermont by Yankee Magazine in 2011. Already runners have been signing up from California, Oklahoma, Florida, North Carolina, New York, Massachusetts, New Hampshire, all over Vermont, The Eastern Townships of Quebec, Quebec City, Montreal, and Ontario. Online registration is open at www.dandelionrun.org. DERBY — A three-vehicle crash in Derby on Saturday left a few people injured, and a 19-year-old Northfield man behind bars. The crash took place at around 2:50 p.m. on Vermont Route 105, at the intersection of VT 111. According to the police report, Alan Barnes, 70, of Island Pond, and Khloe Wainwright, 26, of Newport, were the two other drivers. Wainwright was taken to North Country Hospital for her injuries. Police say several other drivers in the area stated that Magoon had nearly struck their vehicles prior to the crash. 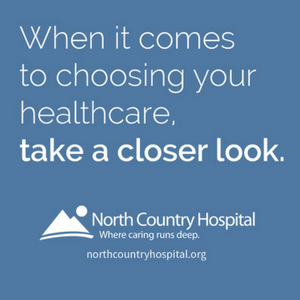 Magoon was treated for injuries at North Country Hospital and then processed for DUI-drugs. He was lodged for gross negligent operation with serious injury resulting. Derby Line Fire Department, as well as Derby Line Rescue and Newport Rescue, were already on scene when police arrived. Route 105 was shut down for a short period of time. Police say the case remains under investigation while they await blood test results. DERBY — Police say a driver suffered some sort of medical problem while driving on I-91 in Derby this morning. At 8:00 a.m. police encountered a motor vehicle on Interstate 91 that wasn’t yielding to an emergency vehicle. 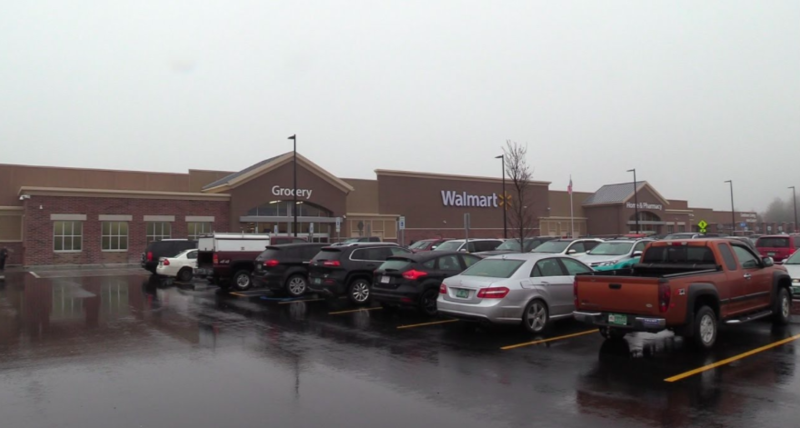 The vehicle was then followed by an unmarked State Police cruiser to the Walmart parking lot. Police say the driver’s name will not be released, and have not gone into details as to what the medical condition was. No arrest was made and no tickets were issued in the incident. 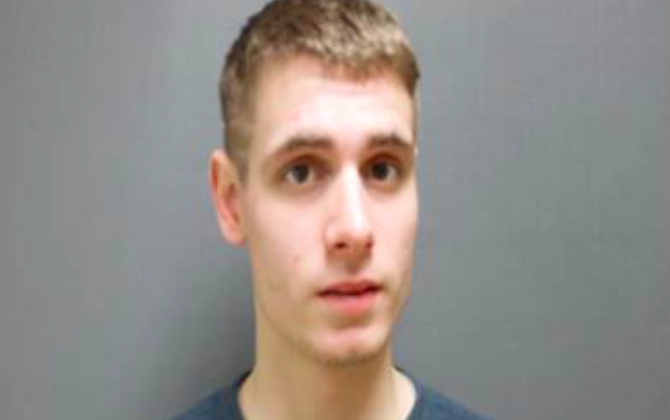 DERBY – Police allege that a 19-year-old Derby man swung two baseball bats at them while they were responding to a domestic call. On Thursday, at around 11:30 a.m. police received a call of a domestic altercation on the Fish and Game Road in Derby. Christopher was subdued by police and taken into custody. He was lodged at Northern State Correctional Facility for lack of $25,000.00 bail. He pleaded not guilty today in court to aggravated assault, domestic assault, unlawful mischief and interference with access of emergency services charges. DERBY LINE — A 46-year-old woman from Derby Line is facing charges after police say she assaulted a minor at a local elementary school. On Monday, police say they were contacted regarding an assault that took place at the Derby Elementary School. 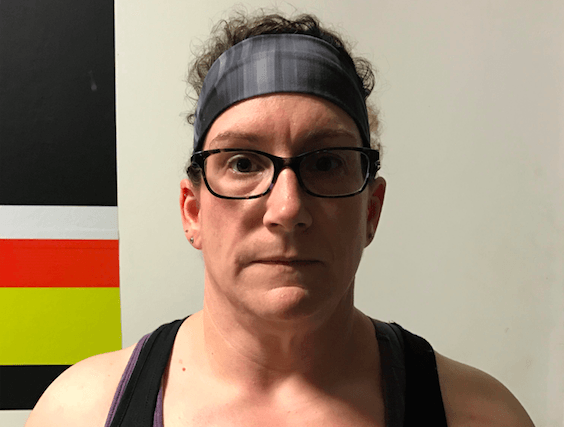 “A subsequent investigation revealed that North Country Supervisory Union employee, 46-year-old Kimberly A. Swett of Derby Line, Vermont had assaulted a minor,” a statement issued by trooper Marie Beland reads. Based on information gathered during the investigation, police say Swett is being charged with cruelty to children under 10 by one over 16. According to the Derby Elementary School website, Swett works in the resource room. Newport Dispatch will update this story as more information becomes available. DERBY — A driver was injured after hitting a deer on I-91 in Derby early Sunday morning. 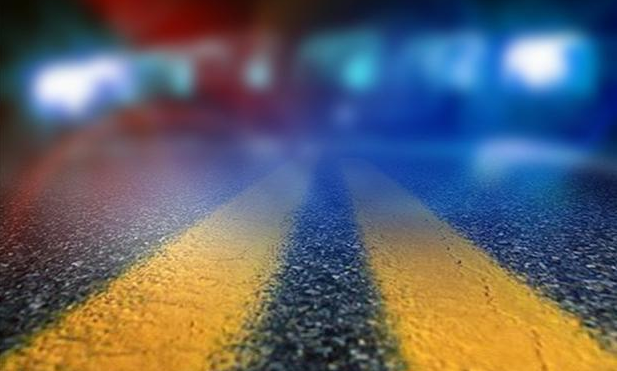 At around 12:00 a.m. police responded to the single-vehicle crash, near exit 28. Zachary Paradowski, 24, of Newport, was headed south when his 2016 Subaru Forester struck a deer in the roadway, police say. The vehicle received extensive and disabling front-end damage and came to rest partially in the roadway, leaking fluids. Paradowski was transported to North Country Hospital to be treated for his injuries. According to the report, he was wearing his seatbelt and the airbag deployed, however, there is no more information as to the nature of his injuries. The travel lane of I-91 was shut down for the duration of the incident as local fire and EMS worked the scene. Debris was cleared from the roadway, the vehicle was towed and the lane was open again at around 1:00 a.m.
DERBY — Police are investigating a hit-and-run crash that took place in Derby this afternoon. At around 1:30 p.m. police responded to the report of a two-vehicle crash on Main Street. One of the cars involved in the accident did not stop after the collision and fled the scene. Police are requesting information regarding the vehicle, described as a metallic tan/brown/gray crossover SUV, possibly a Nissan Murano. Witnesses at the scene were unable to get a license plate number. Police say the car is believed to have sustained significant front-end damage from the crash, and was last seen traveling north on Vermont Route 105 in Derby. Anyone with information about this incident is being asked to contact Trooper Marie Beland, at (802)334-8881. 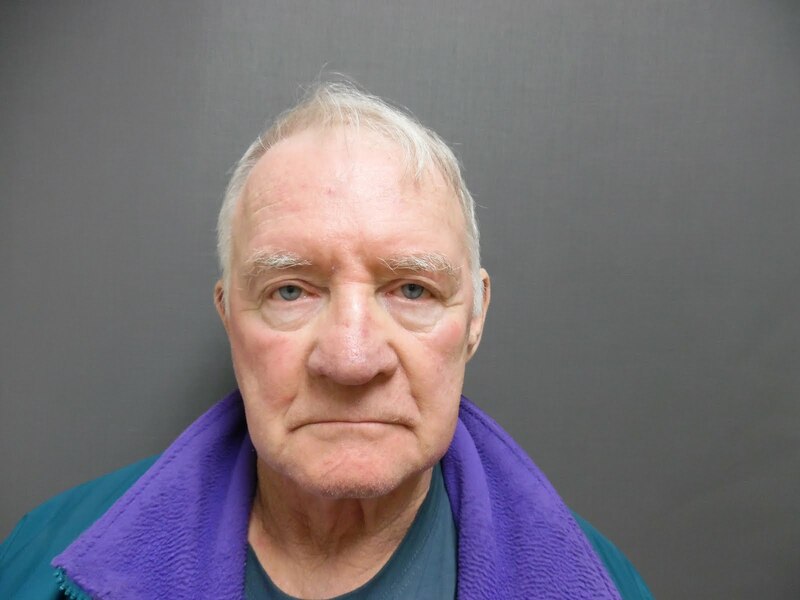 DERBY — Police say they took a 79-year-old Derby man into custody last night after he crashed into another vehicle, and then fled the scene. At around 7:00 p.m. police were notified that a 2000 Jeep Cherokee had been involved in a rear-end collision on Route 5 in Derby, near the I-91 on-ramps. The Jeep took off after the crash. The complainant, Jonathan Hinton, 21, of Orleans, told police his 2016 Chevrolet Colorado had been struck from behind while he was waiting at the red light. His truck sustained rear-end damage, but he was not injured during the incident. Troopers located the Jeep parked behind a home in Derby. The suspect was identified as 79-year-old Floyd Ellis. Police say the Jeep had front-end damage consistent with the reported collision. “Subsequent interview and investigation revealed Ellis had been impaired at the time of operation,” a statement issued by police reads. Ellis declined to provide a PBT. Ellis was issued a citation to appear in court for suspicion of operating under the influence, and leaving the scene of an accident. 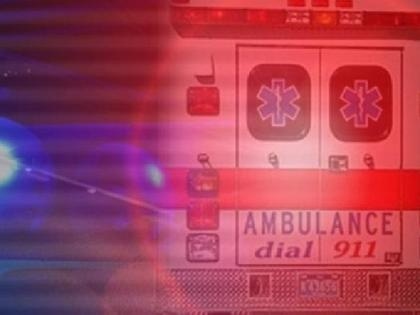 LOWELL — Two Orleans County residents were killed in a tragic two-car collision that took place in Lowell on Monday. 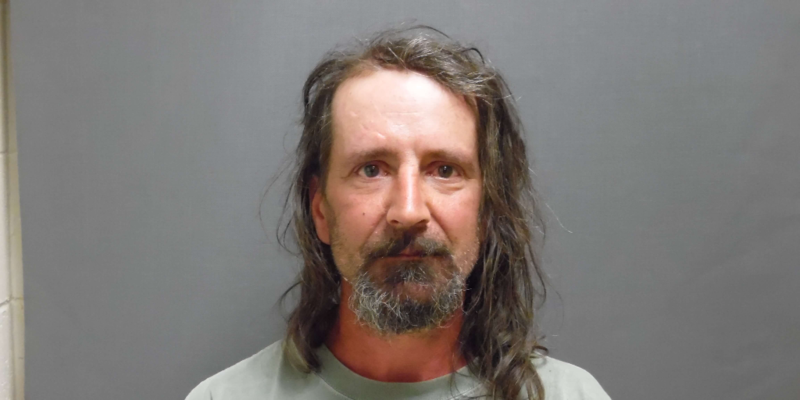 Police say 45-year-old Gordon Farrar, of Newport, was traveling northbound on Vermont 100, when his 2007 Chevrolet Colorado crossed the centerline into the path of a southbound 2008 Dodge Caliber, being driven by Joanne Nolin, 68, of Derby. The vehicles collided in the southbound lane, just north of the Lowell-Eden town line, at around noon. Police say both drivers suffered extensive injuries and were pronounced deceased at the scene. Both lanes of Vermont 100 were closed for several hours, while investigators attempted to process the scene. Lowell Fire Department and Missisquoi Valley Ambulance service responded to the scene and assisted. 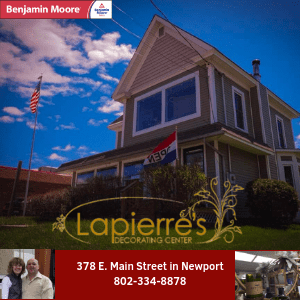 NEWPORT — The Vermont Department of Labor says that the state’s unemployment rate dropped one-tenth of 1 percent in January to 3.1 percent, but that Derby still has the highest unemployment rate in Vermont. Overall, Vermont’s unemployment rate was tied for seventh lowest in the country for the same time period. 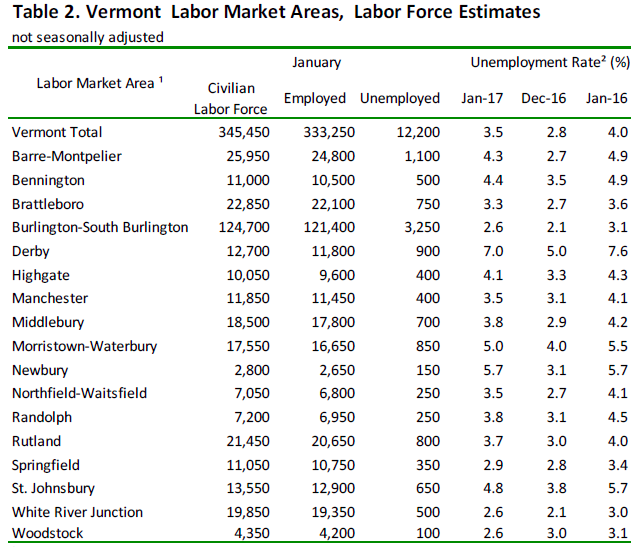 Unemployment in Vermont’s 17 labor markets ranged from a low of 2.6 percent in the Burlington-South Burlington area, White River Junction, and Woodstock, to a high of 7 percent in Derby. The seasonally-adjusted Vermont data for January shows the Vermont civilian labor force increased by 900 from the prior month’s revised estimate. The number of employed increased by 1,150 and the number of unemployed decreased by 250. Labor Commissioner Lindsay Kurrle says the initial numbers for January show the state’s economy is headed in a positive direction. DERBY — A 41-year-old man from Derby took his own life today, after a 3-hour standoff with police. At approximately 9:40 a.m., police say Burton Lawson telephoned and advised that he was at his residence and was going to take his own life with a rifle. State troopers as well as the Orleans county Sheriff’s department and a DMV officer responded to the residence, located at 2876 Vermont Route 105, and set up a perimeter around the home. Vermont Route 105 was blocked off and traffic was detoured around the location for approximately 3.5 hours. Police say they made telephone contact with Lawson and after about 3 hours, they heard a single gunshot. Entry was made by police into the home, where they found Lawson dead from a self-inflicted gunshot wound. According to a statement issued by police, Lawson had not made any threats towards law enforcement or to anyone else. DERBY — A 35-year-old man from Holland is facing charges after police say he assaulted a man in Derby. According to the report, on January 9, at 12:30 p.m. police responded to a report of an assault that had taken place at a local business in Derby. Arlo Rhein, 19, of Derby, told police that Sean Dickerson, 35, of Holland, entered the business and began punching and strangling him. An employee was able to separate Dickerson from Rhein. Dickerson then left the business. Police say attempts were made to locate Dickerson that day. He was later located and issued a citation to appear in Orleans County Court to answer to this assault. DERBY — The Derby-based Drift Dusters Snowmobile Club have won many awards over the years, including the 2013 VAST Club of the Year. But on Tuesday night they went a step further and turned into local heroes. 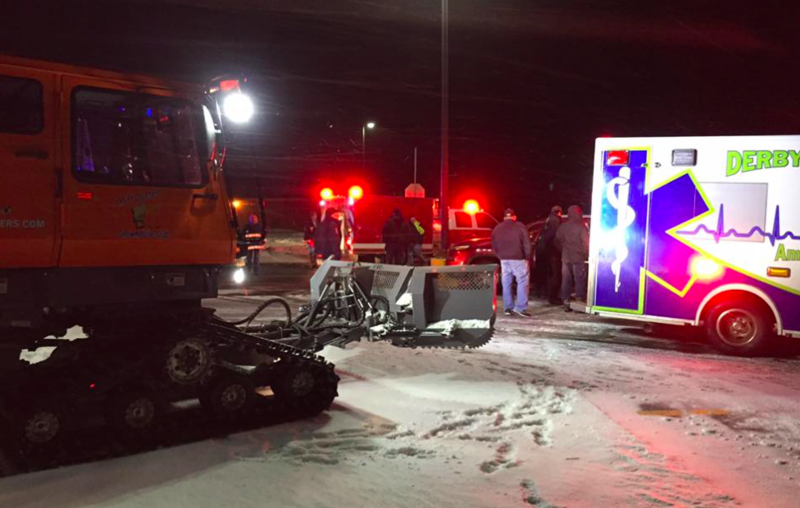 At around 8:00 p.m. Roger Gosselin and club president Michael Koehler were out grooming trails to local businesses in Derby when they came upon a motor vehicle that had crashed into a light pole at the Shaw’s Supermarket parking lot. As they passed by in the groomer, the car was still in gear and they saw that the man was unable to get out of his vehicle due to a medical event. Using the club tree trimmers they were able to gain access into the vehicle, placed it in park, and shut off the engine. The two rendered aid until emergency services arrived. “We would like to thank Derby Line Fire Department, Derby Line Ambulance, and Vermont State Police for a quick response to the scene to further assist with helping the gentleman,” a statement issued by the club read. The Drift Dusters Snowmobile Club maintain trails all throughout the Northeast Kingdom, including the towns of Derby, Charleston, Morgan, Norton, and Holland. 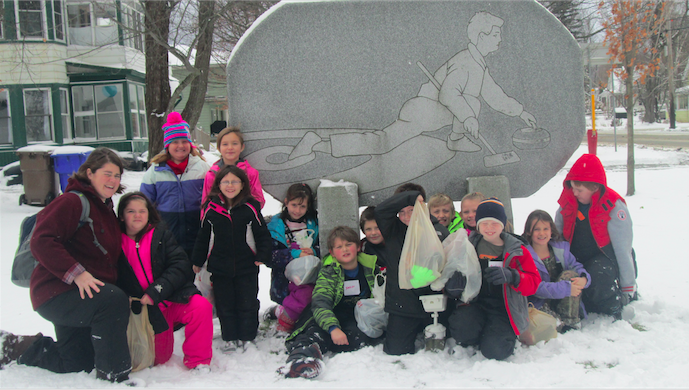 STANSTEAD– Mrs. Jeanne Beaudry’s third graders from Derby Elementary School took their classroom across the border this holiday season to learn about the Olympic sport of curling at the Border Curling Club located in Stanstead, QC. “I learned the students were studying the Olympics and Mrs. Beaudry and I thought having them come to the curling club would be a great opportunity to try out one of the sports while also learning more about its history,” said Caroline Aubry who is a member of the curling club and helped to organize the field trip. Mrs. Beaudry’s class had been studying geography through the origins of various summer and winter Olympic sports and had several other activities geared around the international competition in addition to the field trip to Stanstead. They included their own Olympic mini-games complete with certificates and medals and a visit by Susan Dunklee, a local biathlon Olympic athlete. The lessons weaved geography into the classroom in a fun way that excited the students and provided them with the opportunity take a fun field trip. The third graders were the first American school, in recent memory, to have visited the club in Canada. The curling club prides itself on the friendly international camaraderie it shares between the two countries. The membership of the club is 60 percent Canadian and 40 percent American. “My favorite part of the club is the sense that members are not American or Canadian, they are just curlers,” said Amsden. In addition to welcoming students and teachers into the club, the Border Curling Club holds lessons and clinics for curlers of all ages throughout the year. There is a juniors program on Saturday that helps young curlers learn the game and to practice. It is open to anyone that it interested. The club will also be holding a “Learn to Curl Clinic” in January where all community members, of any age, are welcome to attend and learn how to curl for free. For more information on the Border Curling Club and lessons to learn how to curling, visit www.BorderCurling.com. DERBY — A 21-year-old man from Derby was arrested on Saturday after police say he assaulted someone and pointed a gun at them. 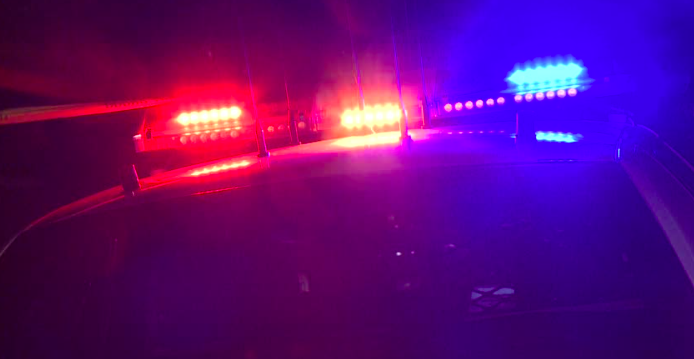 Authorities were dispatched to a welfare check in Derby after someone called police to report that their friend had been threatened with a weapon. Roy was placed under arrest for suspicion of first-degree aggravated domestic assault and recklessly endangering another person. He was processed at the VSP-Derby barracks and lodged at the Northern State Correctional Facility for lack of $500.00 bail. DERBY — A four-car pileup at around 7:40 a.m. on the Derby Road on Tuesday sent two people to the hospital. According to the report, before the crash two cars were stopped waiting to make a left turn onto Joseph Street, and a third vehicle was attempting to stop. Police say Daniel Bumbarger, 28, of Derby, didn’t notice the stopped vehicle, and hit the vehicle in front of him, driven by Bradford Loughran, 44, of Derby. The crash set off a chain reaction of rear-end collisions, with Loughran having to be removed from his vehicle by Derby Line Ambulance. 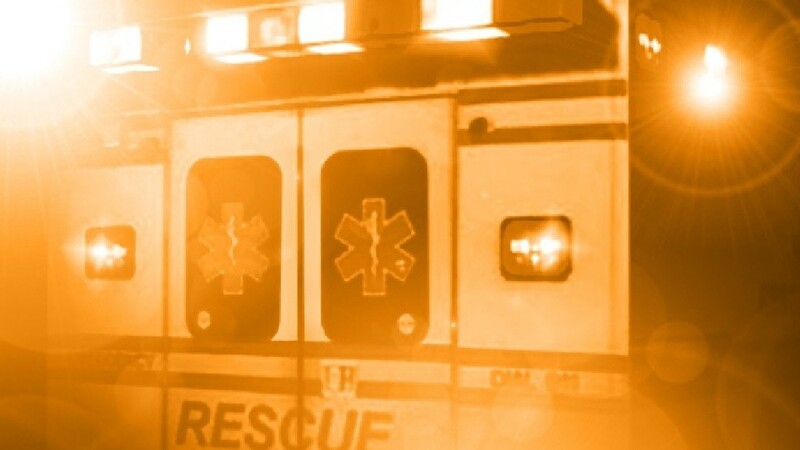 The second vehicle in the lineup was being driven by 26-year-old Kristen Roberge, of Derby, who was also transported to North Country Hospital. According to a statement issued by police, Roberge was treated for “minor” injuries and Loughran for “moderate” injuries. Robin Taylor, 26, of Derby, was driving the first vehicle in the lineup, that was waiting to turn onto Joseph Road.